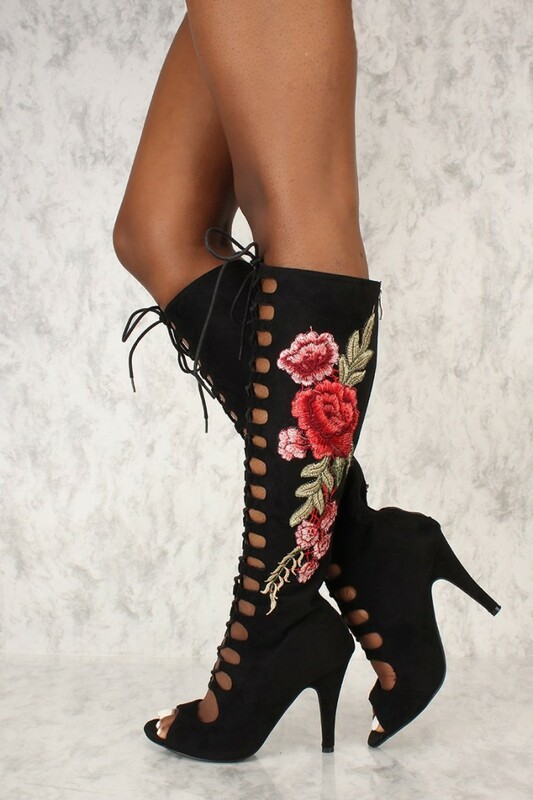 These unique booties are must have to style all your looks! 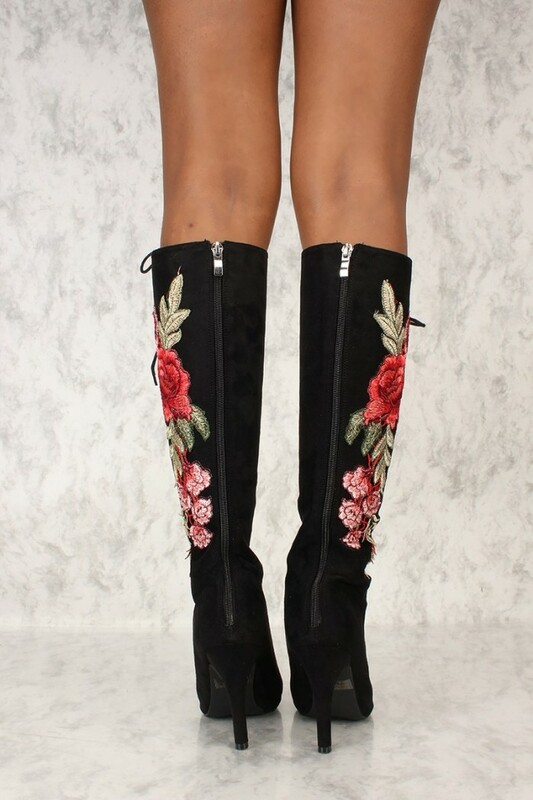 Features include, a faux suede texture, front lace up, front vamp cut out, peep toe, mid calf, embroider floral panel detail, back zipper closure, and a cushioned foot bed. Approximately a 4 1/2 inch heel, 15 1/2 inch shaft, and a 15 in circumference.